Again, thanks to those lovely people over at Cigarette Burns Cinema, you lucky people in old London town are to get the chance to see another slice of classic horror cinema. 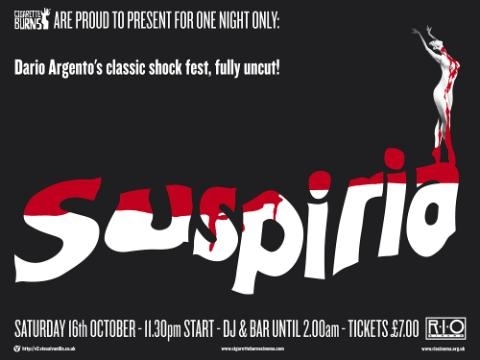 Cigarette Burns Cinema are proud to present the 1977 Dario Argento classic Suspiria. 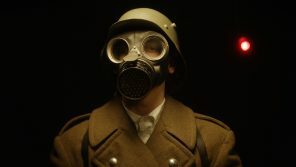 A story about a young American dancer who travels to Europe to join a famous ballet school. As she arrives, another young woman appears to be fleeing from the school. The young American is trying to settle in at the ballet school, but hears strange noises and is troubled by bizarre occurrences. She eventually discovers that the school is merely a front for a much more sinister organization. The showing will be on the Saturday 16th October 11.30pm at the Rio Cinema in Dalston, with a DJ and Bar open until 2.00 am. Tickets are £7.00 and further information can be found at Cigarette Burns Cinema.